President Trump has been tightening the screw on North Korea, ramping up sanctions and urging other countries to sever trade links with Kim Jong Un's regime. But dozens of countries have violated international sanctions on Pyongyang in recent years, according to a new report by a Washington-based think tank. It highlights the scale of the challenge facing Trump as he tries to cut North Korea out of the global trading system as a way of pressuring it to abandon its nuclear weapons program. A total of 49 countries violated United Nations sanctions on North Korea to varying degrees between March 2014 and September 2017, the Institute for Science and International Security said. That includes North Korea's top trading partner, China, as well as Germany, Brazil, India and France. Thirteen of them, including Angola, Cuba, Mozambique, Tanzania, Iran, Sri Lanka, Myanmar and Syria, have been linked with North Korea's military. "In some cases, these mostly undemocratic regimes received military training from North Korea; in others, they received or exported military related equipment to or from North Korea," the report said. The report's authors analyzed North Korean procurement data published by the UN Panel of Exports for the last three and a half years. The isolationist nuclear power "often cooperates with or otherwise exploits countries with weak or nonexistent export and proliferation financing controls," they wrote. Countries with high levels of corruption are targeted. 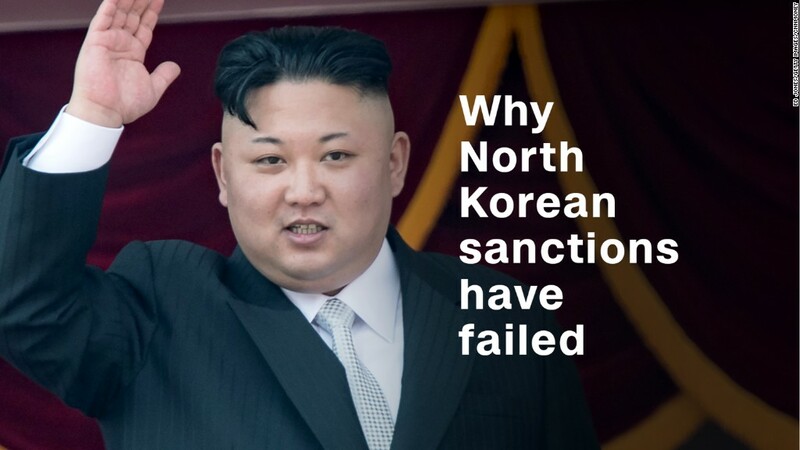 All but five of the 49 countries have violated sanctions in other ways, such as facilitating front companies for the North Korean regime or importing sanctioned goods and minerals. Twenty countries have also been linked with helping shipments to and from North Korea reach their destinations, often by "re-flagging" or changing the national registration of ships to disguise their origin. Related: What's left for Trump to sanction in North Korea's economy? Some countries have vowed to shut down their dealings with Pyongyang in recent months, with India and Singapore both saying they would ban all trade this year. Experts are skeptical about how effectively sanctions can rein in North Korea's nuclear program, given that the comprehensive existing restrictions haven't left too many goods or entities to sanction. But the report says international pressure can be effective, pointing to Uganda's recent decision to expel North Korean officials after years of receiving police and military training from the country's army. "The United States and Europe in particular should press every country engaged in military or sanctioned trade with North Korea to stop any such activities and deploy their own sanctions... against those that fail to do so," it added.